The older I get, the more I understand the quote, “Collect moments, not things.” Though I’m uncertain who first made the statement, I can certainly understand how they reached this conclusion. Things give you pleasure temporarily, while memories bring you joy that lasts a lifetime. As a result, I have compiled a short list to help you better relish moments abroad. 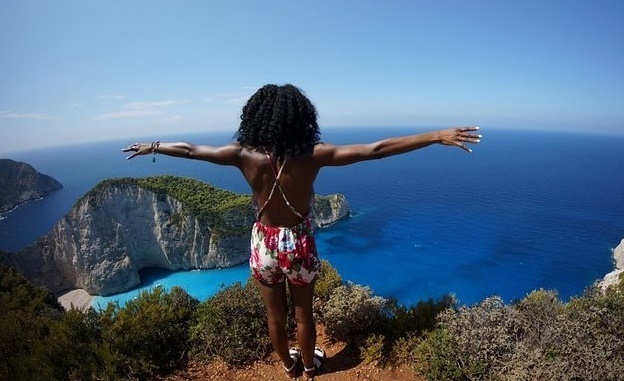 In a day and age where travel is relatively inexpensive, a last-minute trip abroad is a quite realistic and viable option. There are tons of apps and websites dedicated to discount travel. Thus, it is highly possible to catch a last-minute deal to an amazing destination for a fraction of the cost. My recommendation is to be open, and have a few different places in mind. Depending upon when you travel, a certain airline or hotel may be running a special to a destination that you had not previously considered. Utilize an app, like Skyscanner, for a great last-minute find. Also, remember to pack your camera for all those special moments. There are scores of organizations across the globe that are committed to helping those in need. If you want to give back, consider lending your talents to a reputable nonprofit agency or group. There are various opportunities available to do everything from helping to build homes, churches, and schools, to providing useful skills to residents of impoverished communities. Some trips are as short as a week, while others can extend over a year or more. Decide what works best for you, and make sure to partner with an organization that has efforts which match your personal service goals. Check your local community first for groups that may be heading overseas, or consider the Working Abroad website. Giving back will, most assuredly, bless you. Imagine meeting your instructor for a lesson at a French bistro while overlooking the Eiffel Tower, or practicing Spanish lessons amidst the llamas in Peru. There are private instructors as well as countless organizations globally, which offer courses to beginners, intermediates, and advanced level students. Bring your workbook to life by taking field trips to cafes, shopping districts, and museums. Opt for solo instruction or become part of a classroom. Seek out private lessons in your desired country, or contact an organization, like EF, to learn another language abroad. Then, prepare for the adventure of a lifetime. One primary way to indulge in the expat life is to work overseas. Some U.S. citizens opt to teach English abroad, while others work on private or government contracts. This is the perfect way to experience other cultures from a local perspective. Visiting is much different than actually living in another country. If you want to add the international experience to your personal or professional resume, then you may want to assess the possibility of working abroad. There are several organizations that can help fulfill your expatriate dreams like Teach Away, Jobs Abroad, or even the U.S. Department of State. There are a number of concerts, culinary experiences, and celebrations held around the world, annually; from Carnival to jazz festivals, the list is extensive. This is a fantastic way to connect with the local culture through song, dance, story, and food. For a list of offerings, check tourism board websites by destination to find out what is taking place during the time of your visit. This is also an ideal way to meet other global citizens, so get moving.